I recently picked up The Final Station from a Humble Bundle sale. I had previously really liked the idea of having to take care of passengers on a train as I escorted them out of dangerous cities. It turned out to not be as great as I thought. I’ll admit. I didn’t want anything to do with Undertale. I had seen the hype on several social media channels, but I kept thinking it was a very niche group of people who were overhyping its value. My boyfriend ended up getting the game during the Steam Winter Sale, and I agreed to play it with him. Recently my boyfriend and I started playing Lovers in a Danger Spacetime! I wasn’t quite sure what to expect— the game is fairly new and I hadn’t heard about it. But if you’ve got someone to play with, let me tell you: it’s loads of fun!! What is Lovers? 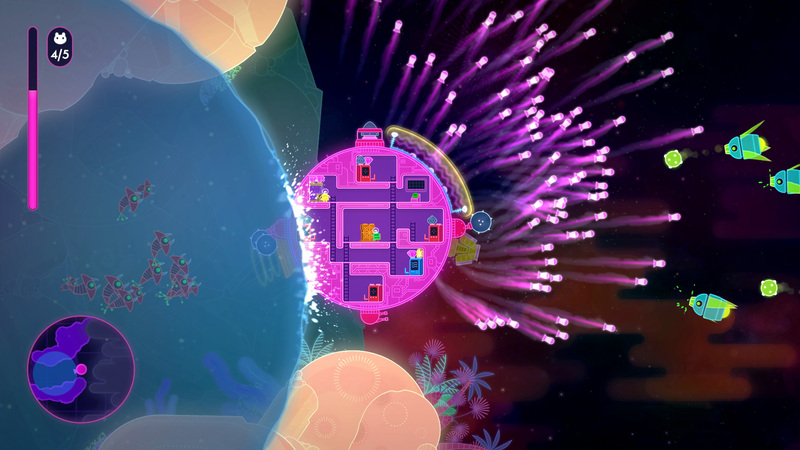 It’s a space shooter made by Toronto-based game developers Asteroid Base. It really tests how you manage your resources in a team. I’ve never played by myself, but that option is available. You’ll get to choose a pet companion who will help you man your spaceship. When playing the local coop version (which is what I did) you and your partner get to pick your own characters and then the adventure begins! The story is simple and…cute? It’s set in a galaxy where love has always helped the ecosystem prosper. That is until Anti-Love started to take over and spoil everything. 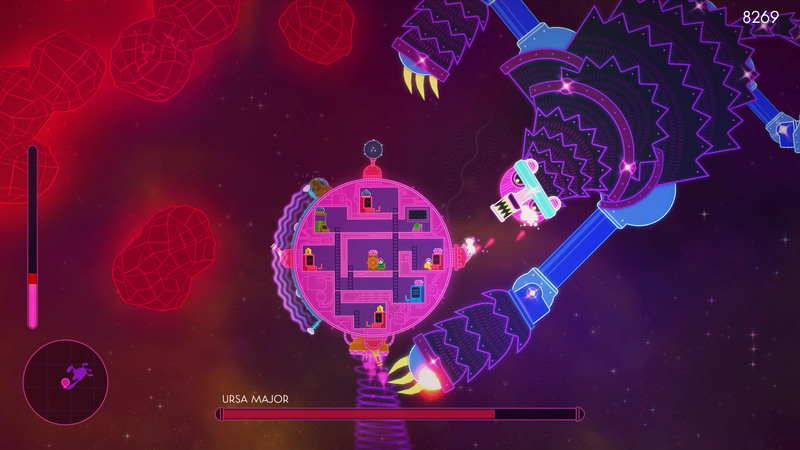 You and your partner must navigate through the galaxy, rescuing space-bunnies (who can help you unlock portals to progress to the next level) and restoring love. And of course, communication in your relationship is key. The entire game is a lot of multitasking and cooperating, and most of the time, you have little time to react to what’s going on around you. For example, at one point when you rescue bunnies, you’re greeted with a bomb. First instinct would be to just set it off and then leave, like with the other bombs in the game. Or you’d think to get your shield up so you can safely deflect it. Turns out that the bomb explodes outwards, creating a radius of green matter that will persistently damage your ship’s health. All you can do is manoeuvre out of that space ASAP! Personalization is a big part of the game, in which you can collect various gems and upgrades that can be added to your ship’s guns/cannons/shield or engine. These are limited, and you must decide on whether you want to add the metal upgrade to your shield (making it bigger and does damage to enemies crashing into it), or on a gun, making it a giant flailing mace. You most likely will start learning which upgrades you prefer to have on which part of the ship. But after you finish a world (a section of the game), your ship gets refreshed and you start anew! If you and a buddy’s looking to work on your team working skills, or just have some extra time to burn exploring beautifully created 2D environments, get Lovers. And also set off the Yamato cannon as often as possible. It’s beautiful. The gaming community is constantly torn about early access, with more people complaining on forums and hubs rather than not. I suspect the population that doesn’t complain finds the system fine, and is willing to put up with paying for early access or understand the issues they would most likely run into. I am in between both, having games where I find early access unacceptable (*cough* Day-Z, the Stomping Land), and some that actually work well and I’m glad I’m in their early access program (7 Days to Die). 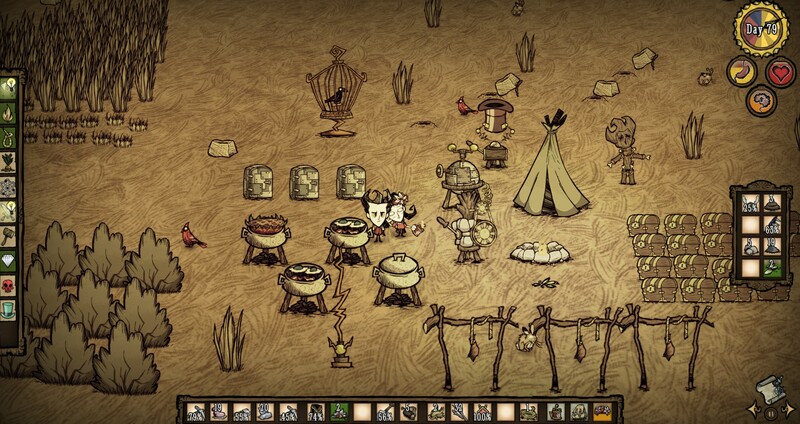 Recently, my boyfriend got us Don’t Starve Together. Why am I saying this is a perfect example of early access? For those who have their original game Don’t Starve, the frontier (early access) pack was $5 for two copies of the game. That’s $2.50 each for the two of us! Plus, they’re sure that they’re selling to their fans since you have to had own the game to get it for this price. Gamers are more likely to be understanding of issues in gameplay during early access. The promo is now up, but was a great way to build up a community of early accessers. 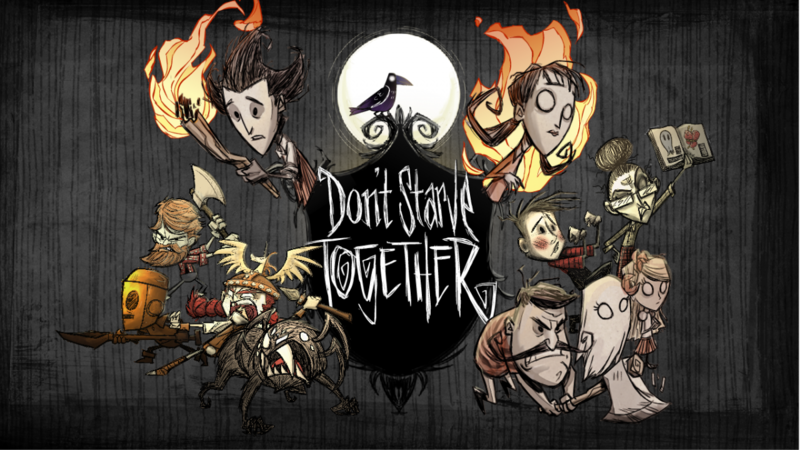 If you wanted Don’t Starve Together (Early Access), but don’t have the original game, it costs around $20 now on Steam. We’ve logged about 30 hours together on the game within 2 weeks. If you’ve played Don’t Starve, it’s basically the same game with less features to make it work for multiplayer. You now work together to brave the environments of this dark and dreary world, making sure you have enough food and resources to keep your sanity, health and hunger bars up. There’s also an option to revive your friend with Telltale Hearts (you sacrifice a little bit of your health to bring your friend back to life), but you suffer permanent damage to your health. Each revive gives you less and less max health, making it easier to die. I’ve never played Don’t Starve, so when I first opened up the game I instantly fell in love with the art (it’s Tim Burton-esque). Although it is a survival game, it’s quite different from most of the other ones I’ve played. It’s slightly easier to obtain materials and stay alive at the beginning, but as your day count goes up, you are faced with more challenges. This makes it a lot better than the other permadeath games in that you actually get to play before something murders you on day 1 or something. I was not used to the idea of not having a secure structure as a base. My boyfriend would instruct me to build a base near a herd of Beefalos (buffalo-like creatures) and by building a base, he meant making a fire pit. Soon, our “base” contained crock pots for cooking better recipes, a science machine (to discover more recipes), a bird cage, and farms. But there were no walls surrounding us and I always felt vulnerable. Nonetheless, we defended ourselves well and now that we’re on our 80th day or so, we can build walls if we choose to. But honestly, I’ve gotten used to the idea that we’ll be able to defend ourselves without them.